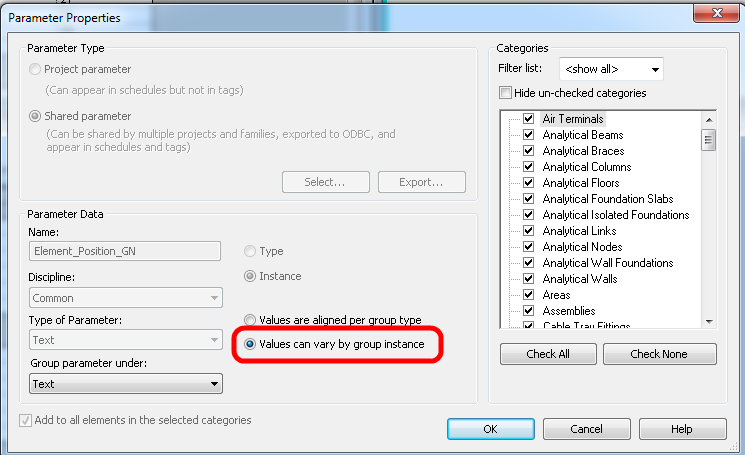 I have been searching for a quick and easy way to compare exclusions between Group instances – and nothing really exists at this point. So, I have developed a method to do this by using Revit and some schedules. 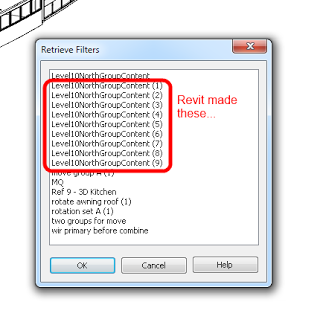 It doesn’t require add-ins, macros or extensions – but it does require full Revit 2014. 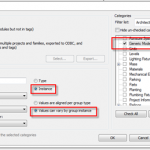 Rinse and Repeat steps 1 to 10 for each Group instance you want to audit / compare. 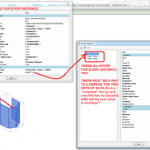 Filter the schedules – you can use the Shared Parameter you set up with an “is greater than” blank operator to show only elements that have something in that parameter. 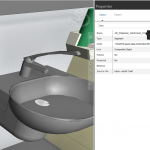 Additionally, using Highlight in Model directly from the schedules will help you to figure out exactly what elements are missing or different. 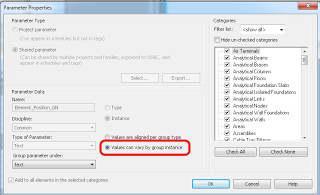 Do you know the Best Way to Audit a Set of Model Groups?